Large (290m2), cozy loft in Asper (Gavere), at the foot of the Flemish Ardennes. Quiet area. Ideal as a base for hiking, biking, city visits (Gent 20 km, ramp E17 / E40 only a few kms). Ground floor: very large living room with open kitchen, sitting area, dining area. Mezzanine: bathroom with bath, 2 sinks, shower and toilet, 2 bedrooms with two beds, one bedroom with two single beds. The entire space is available for the guests. So private use of kitchen, bathroom, living room. Private covered parking, free wi-fi. Air conditioning in all rooms. Home cinema watching big screen and projector for TV and movies. (BluRay / DVD player and extensive movie collection available) Fully equipped kitchen with stove, oven, microwave, dishwasher. A breakfast is provided at the first and only night. Bar o a.. Several Trappist beers, including Westvleteren 12. Toys (Lego, Playmobil, ...) present for the children, as well as board games. Bart's Loft is an outstanding location!!! Bart's Loft is one of the best apartments we've ever stayed in. Dikkelvenne is a great little Flanders village for biking and walking and has several restaurants and grocery stores and a nice bakery. It is ideally situated for trips to Gent, Bruges, Ypres and Brussels, all are less an hour away. The apartment is very spacious and outfitted with a great kitchen, very good wifi, projector TV, all the things needed to cook in if you want and basics like coffee, jellies, butter, sugar, oil, granola and some items for the first mornings breakfast. Bart also stocks a variety of Belgian beers. There is an indoor parking space and the apartment is located inside a keyed facility. It is on the 1st floor (US 2nd floor) but there is an elevator if needed. The apartment is very nicely decorated and has floor heating and air conditioning. This is a great location and Bart is a super host! Great accommodation, Bart was always quick to respond to any queries would recommend to anyone! Spacious, clean comfortable place with a very responsive owner. Lots of amenities like large screen for watching TV or movies, fresh bread. Great value, highly recommend. 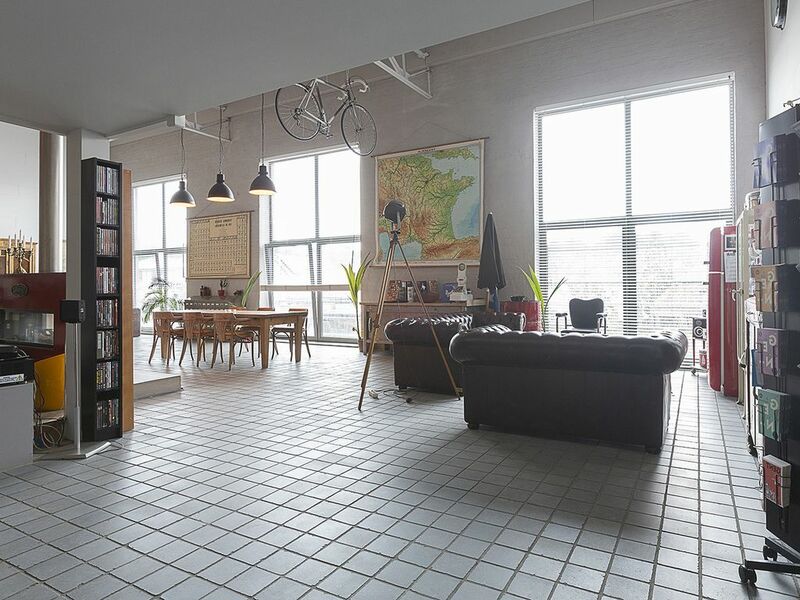 Bart's loft is the perfect base to explore Ghent, Bruges, Ypres (leper) and Lille. It's modern, well-equipped and creatively decorated. Perfect for both families and couples! Bart also supplies a selection of famous beers in the fridge at local prices. Me and my wife spend a very enjoyable 3 nights at the Loft house. Spotlessly clean and everything you ever need was to hand. Plenty of space to loose yourself in. Bart the host provided some excellent insights to local area and walked us through the key features of the property. Having air con was a bonus too. Underground parking was in a safe and secure area. Would defo return if back in area again. We had 4 guys in Belgium for a bike trip. Bart's loft was well appointed and also well-stocked with great Belgian beers. Beds were comfortable and the shower was good. We'd have given it a 5 rating if we could control the temperature better. The week we were there the highs were 75 F and all his windows face south. A ceiling fan would have been helpful. Great location. Easy walks to restaurants, etc. Bank with ATM around the corner. Super location for cycling with easy access to great roads and the Ronde de Vlanderren course. Thank you for this nice and honest review. It’s true the heat is an issue when it’s hot outside. That’s why my next improvement to the loft is exterior electrical sunscreens which will be placed in a few weeks, and air conditioning in the entire loft that is scheduled for early July.